The statutory regime governing listed companies’ disclosure of price sensitive information (referred to in the legislation as “inside information“) is set out in Part XIVA of the Securities and Futures Ordinance (“SFO”) which came into effect on 1 January 2013. The SFC has published Guidelines on Disclosure of Inside Information (“SFC Guidelines”) to assist listed companies to comply with the disclosure obligation. The regime creates a statutory obligation on listed companies to disclose inside information to the public, as soon as reasonably practicable after inside information has come to their knowledge. Breaches of the disclosure requirement are dealt with by the Market Misconduct Tribunal (“MMT”) which can impose a number of civil sanctions including a maximum fine of HK$8 million on the listed company and on its directors and chief executive in certain circumstances. The SFC can institute proceedings directly before the MMT to enforce the disclosure requirement. is not generally known to the persons who are accustomed or would be likely to deal in the listed securities of the listed company but would if generally known to them be likely to materially affect the price of the listed securities. The inside information which a listed company is required to disclose is the same information that is prohibited from being used for dealing in the securities of the listed company under the insider dealing regime in Parts XIII and XIV of the SFO. An objective test should be applied in considering whether a piece of information is inside information. The test is whether a reasonable person, acting as an officer of the listed company, would consider that the information is inside information in relation to the listed company. the information would, if generally known be likely to have a material effect on the price of the listed company’s securities. The SFC Guidelines provide guidance as to how these terms have been interpreted by the MMT in the past. The information must be capable of being identified, defined and unequivocally expressed. Information regarding a listed company’s affairs will be sufficiently specific if “it carries with it such particulars as to a transaction, event or matter, or proposed transaction, event or matter, so as to allow that transaction, event or matter to be identified and its nature to be coherently understood”. Information may be specific even though the particulars or details are not precisely known. For example, information that a listed company is in financial difficulty or proposes to conduct a share placing would be regarded as specific even if the details are not known. Information on a transaction that is only contemplated or under negotiation (and not yet subject to a final agreement (formal or informal) can be specific information. To constitute specific information, a proposal should be beyond the stage of a vague exchange of ideas or a “fishing expedition”. If negotiations or contracts have occurred, there should be a substantial commercial reality to the negotiations which should be at the stage where the parties intend to negotiate with a realistic view to achieving an identifiable goal. The SFC Guidelines note that rumours, media speculation and market expectation about an event or circumstances of a listed company cannot be equated with information which is generally known to the market. There is a clear distinction between the market having actual knowledge of a hard fact which has been properly disclosed by the listed company and speculation or expectation as to an event or circumstances which will require proof. In determining whether information that is the subject of media comments or analysts’ reports or carried by news service providers is considered to be generally known, the listed company should consider the accuracy, completeness and reliability of the information disseminated and not only how widely the information has been disseminated. Where the information disseminated is incomplete or there are material omissions or there are doubts as to its bona fides, the information cannot be regarded as generally known and the listed company is required to make full disclosure. Whether inside information is likely to materially affect the price of a listed company’s securities is judged based on whether the inside information would influence persons who are accustomed to or would be likely to deal in the listed company’s shares, in deciding whether or not to buy or sell such shares. The test is necessarily a hypothetical one since it must be applied at the time the information becomes available. Legal disputes and proceedings etc. a reasonable person, acting as an officer of the listed company, would consider that the information is inside information in relation to the listed company (section 307B(2) SFO). Listed companies must therefore ensure that they have effective systems and procedures in place to ensure that any material information which comes to the knowledge of any of their officers is promptly identified and escalated to the board to determine whether it needs to be disclosed. According to the SFC Guidelines, “as soon as reasonably practicable” means that the listed company should immediately take all steps that are necessary in the circumstances to disclose the information to the public. The necessary steps that the listed company should take immediately before the publication of an announcement may include: ascertaining sufficient details; internal assessment of the matter and its likely impact; seeking professional advice where required and verification of the facts (paragraph 40 of the SFC Guidelines). The listed company must ensure that the information is kept strictly confidential until it is publicly disclosed. If the listed company believes that the required degree of confidentiality cannot be maintained or that there may have been a breach of confidentiality, it should immediately disclose the information to the public (paragraph 41 of the SFC Guidelines). The SFC Guidelines also raise the possibility of a listed company issuing a “holding announcement” to give the listed company time to clarify the details and likely impact of an event before issuing a full announcement. Under the SFO, an officer is a director, manager, secretary or any other person involved in a listed company’s management. In the context of the inside information disclosure regime, a “manager” generally connotes a person who, under the immediate authority of the board, is charged with management responsibility affecting the whole or a substantial part of the listed company. A secretary refers to a company secretary. The information which must be disclosed is restricted to that which becomes known in situations where the officer is acting in the capacity of an officer. Inside information must be disclosed by way of publication of an announcement on the websites of the Exchange and the listed company in accordance with Listing Rule 2.07(C) (this is required by Listing Rule 13.09(2)(a)). Publication on the Exchange’s website fulfils the requirement of section 307C(1) SFO that disclosure of inside information must be made in a manner that can provide for equal, timely and effective access by the public to the information disclosed (by virtue of Section 307C(2) SFO). The SFC Guidelines provide that listed companies can use additional means to disseminate inside information such as press releases issued through news or wire services, press conferences in Hong Kong and/or posting an announcement on their own websites. These must be additional to announcing the information on Exchange’s website as they would not themselves satisfy the requirements of section 307C(1) SFO. Section 307D SFO provides four safe harbours to permit listed companies to not disclose or delay disclosing inside information. Except for Safe Harbour A, listed companies may only rely on the safe harbours if they have taken reasonable precautions to preserve the confidentiality of the inside information and the inside information has not been leaked. This grants a safe harbour to listed companies if they are prohibited from disclosing inside information under a Hong Kong court order or any Hong Kong statute. when a listed company is negotiating the provision of financing with a creditor. The SFC Guidelines note that where a listed company is in financial difficulty and is negotiating with third parties for funding, reliance on this safe harbour will mean that it will not be necessary to disclose the negotiations. The safe harbour does not however allow the listed company to withhold disclosure of any material change in its financial position or performance which led to the funding negotiations and, to the extent that this is inside information, should be the subject of an announcement. Trade secrets may concern inventions, manufacturing processes or customer lists. However a trade secret does not cover the commercial terms and conditions of a contractual agreement or the financial information of a listed company, which cannot be regarded as proprietary information or rights owned by the listed company. 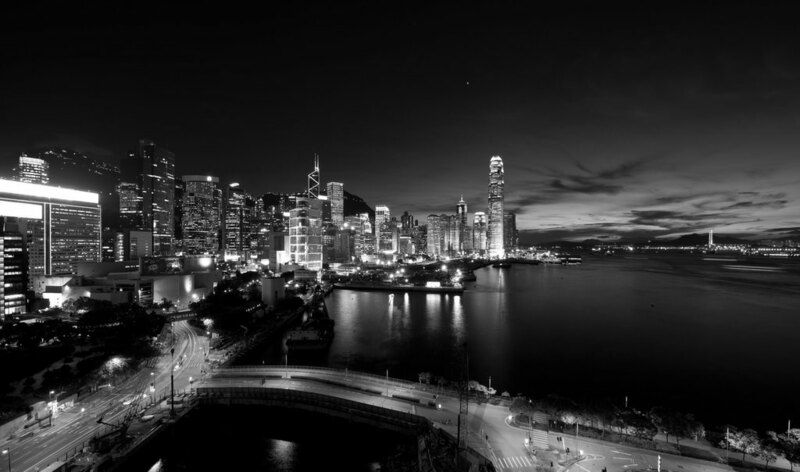 Under this safe harbour, no disclosure is required for information concerning the provision of liquidity support from the exchange fund of the government or from an institution which performs the functions of a central bank (including one located outside Hong Kong) to the listed company or any member of its group. If confidentiality is lost or the information is leaked, the safe harbour will cease to be available and the listed company must disclose the inside information as soon as practicable. The SFC can grant waivers where the disclosure of inside information in Hong Kong would be prohibited under a court order or legislation of another jurisdiction or would contravene a restriction imposed by a law enforcement agency or government authority in another jurisdiction (section 307E(1) SFO). The SFC will grant waivers on a case-by-case basis and may attach conditions. A listed company must copy to the Exchange any application to the SFC for a waiver from the disclosure obligation and the SFC’s decision when received. In relation to officers’ obligation to take all reasonable measures to ensure the existence of proper safeguards, the SFC Guidelines focus on the responsibility of officers, including non-executive directors, to ensure that appropriate systems and procedures are put in place and reviewed periodically to enable the listed company to comply with the disclosure requirement. Officers with an executive role will also have a duty to oversee the proper implementation and functioning of the procedures and to ensure the detection and remedy of material deficiencies in a timely manner. The particular needs and circumstances of the listed company should be taken into account in establishing appropriate systems and procedures. The SFC Guidelines provide a non-exhaustive list of examples of systems and procedures which listed companies should consider implementing. Establish controls for monitoring business and corporate developments and events so that any potential inside information is promptly identified and escalated to the board. Establish periodic financial reporting procedures so that key financial and operating data is identified and escalated in a structured and timely manner. Maintain and regularly review a sensitivity list identifying factors or developments which are likely to give rise to the emergence of inside information. Authorize one or more officer(s) or an internal committee to be notified of any potential inside information and to escalate any such information to the attention of the board. Restrict access to inside information to a limited number of employees on a need-to-know basis. Ensure employees who are in possession of inside information are fully conversant with their obligations to preserve confidentiality. Ensure appropriate confidentiality agreements are in place when the corporation enters into significant negotiations. Develop procedures to review presentation materials in advance before they are released at analysts’ or media briefings. Record briefings and discussions with analysts or the media afterwards to check whether any inside information has been inadvertently disclosed. Develop procedures for responding to market rumours, leaks and inadvertent disclosures. A listed company or officer found to be in breach of the statutory disclosure obligation may be found liable to pay compensation to any person who has suffered financial loss as a result of the breach in separate proceedings brought by such person under Section 307Z SFO. The listed company or officer will be liable to pay damages provided that it is fair, just and reasonable that it/he should do so. A determination by the MMT that a breach of the disclosure requirement has taken place or identifying a person as being in breach of the requirement will be admissible in evidence in any such proceedings to prove that the disclosure requirement has been breached or that the person in question has breached that requirement. The courts may also impose an injunction in addition to or in substitution for damages. The statutory disclosure obligation came into effect on 1 January 2013 and we are now beginning to see the first cases of disciplinary proceedings for breach of this obligation. The SFC commenced the first case of market misconduct proceedings for breach of the disclosure obligation in July 2015 against AcrossAsia Ltd (AAL) in relation to AAL’s 13-day delay in announcing the commencement of insolvency-related proceedings in Indonesia against AAL. The Chairman and Chief Executive of AAL received copies of court documents initiating insolvency-related proceedings in Indonesia, along with their English translations, by 4 January 2013, but this information was not announced to the public until 17 January, two days after the Indonesian court made insolvency related orders against AAL. The SFC alleges that the insolvency-related proceedings were specific information regarding AAL which was not generally known to the public at the material time and highly price sensitive because they threatened AAL with loss of control of its major asset and could lead to the company being put into liquidation. In 2016, the SFC has commenced MMT proceedings against two further companies for alleged breaches of the inside information disclosure requirements. Senior executives of those companies were also charged with reckless or negligent conduct that caused the alleged breaches. In the case of Mayer Holdings Limited (Mayer), the proceedings relate to failures to disclose unresolved audit issues, the auditors’ notification that they would qualify their audit report if the issues were not resolved, and the auditors’ subsequent resignation. The SFC alleges that the outstanding audit issues and the auditors’ notification of the possible qualification of the audit report were known by the company on 23 August 2012. The auditors resigned on 27 December 2012, citing Mayer’s lack of cooperation in relation to resolving the audit issues it had identified. Mayer did not announce the auditors’ resignation until 23 January 2013. Ten current and former senior executives of Mayer (including the company secretary/financial controller, the chairman of the board and the chairman of the audit committee) were also alleged by the SFC to have breached section 307G of the SFO by failing to ensure that Mayer complied with its disclosure obligation under section 307B. Proceedings have also been brought against Yorkey Optical International (Cayman) Limited (Yorkey) for failing to disclose information about the company’s substantial losses and significant deterioration in its financial performance in the second half of 2012 (the Deterioration). In its 2012 unaudited interim results, Yorkey had reported a decrease in revenue of 12.1% and a net profit decrease of 62% compared to the corresponding period in 2011. Nevertheless, it predicted “significant growth over that in the first half of the year, alongside with increasing profitability” for the second half of 2012. Yorkey’s 2012 audited annual results were announced on 25 March 2013. They recorded a 99% drop in net profit as compared to 2011, and net profit for the whole of 2012 was less than that for the first six months. The company’s share price fell 21.25% in the three days following the results announcement. Yorkey did not issue any profit warning announcement or otherwise inform the public of the Deterioration between the publication of its 2012 unaudited interim results on 16 August 2012 and the publication of its 2012 audited annual results on 25 March 2013. The SFC alleges that this lack of disclosure to the public constituted a breach of section 307B of the SFO. at the latest, from around mid-January 2013 when the internal management accounts for the whole of 2012 were made available to Yorkey’s Chief Executive Officer. The SFC further alleges that the chief executive officer and the financial controller/company secretary of Yorkey were aware of the Deterioration well before the publication of the 2012 financial results. The SFC considers that their failure to ensure timely disclosure of the deterioration constitutes reckless or negligent conduct which resulted in Yorkey’s breach of the disclosure requirement. The SFC has also warned against selective or uneven dissemination of inside information. The objective should be to present both good news and bad news equally in a clear and balanced way without glossing over or omitting any material facts. Disclosure should contain sufficient detail for investors to make a reasonable and realistic assessment of the company’s affairs. On that point that all inside information must be disclosed, both good and bad, there are a number of UK cases which emphasise that each piece of information must be considered independently and that good and bad news cannot be offset against each other as a reason for non-disclosure. On 10 March 2008 a key customer decided it would not be pursuing certain orders, representing a loss to Wolfson’s forecast revenue of 8%. Wolfson was told by the customer to expect additional orders for other products to make up for the cancelled orders. It was also considered that the market would overreact and that a confidentiality agreement with the customer would prevent disclosure. Initially, investor relations advisers thought no announcement was needed. The company’s lawyers and brokers were eventually consulted and both disagreed. The FSA considered that the news of the cancellation of orders was inside information that investors were likely to use as part of the basis for their investment decisions. Wolfson was fined £140,000 for the 16 day delay in announcing the information. FSA commented that companies cannot withhold inside information due to confidentiality agreements. Entertainment Rights and a subsidiary had entered into a DVD distributorship agreement in the USA. A variation to the agreement, which came into effect on 10 July 2008, would reduce the company’s estimated 2008 profits by US$13.9 million. The company considered that there would be future opportunities to remove the impact of the variation and delayed disclosure accordingly. It finally announced the variation 78 days later which resulted in a fall in its share price of 55% on the day of the announcement. It was fined £245,000 for the delay. The FSA again emphasized that negative and positive news cannot be offset in order to justify non-disclosure. Universal Salvage had a rolling contract which was responsible for 40% of turnover and could be terminated on three months’ notice. The board was told on 20 March 2002 that the contract was to end. The company thought this was a negotiating ploy and raised a number of arguments against the decision. After consideration by the contractee, confirmation of the loss was received on 16 April. It took four working days to receive advice from the company’s financial adviser. On the adviser’s recommendation, an announcement followed the next day and the share price fell by 55%. For the delay of five working days, the company was fined £90,000 whilst the Chief Executive was fined £10,000 as he was ‘knowingly concerned’ in the breach and was best placed to take the required steps to notify the market yet failed to do so. Under Main Board Rule 13.09(2), where an issuer is required to disclose inside information under the SFO, it must simultaneously announce the information. An issuer is also required to simultaneously copy to the Exchange any application to the SFC for a waiver from the requirement to disclose inside information and to promptly copy to the Exchange the SFC’s decision whether to grant such a waiver. If it is the Exchange’s view that there is, or is likely to be, a false market in a listed issuer’s securities, the issuer must announce the information necessary to avoid a false market as soon as reasonably practicable after consultation with the Exchange. An issuer is also required to contact the Exchange as soon as reasonably practicable if it believes that there is likely to be a false market in its securities. if appropriate, and if requested by the Exchange, issue a standard announcement confirming that, the directors, having made such enquiry with respect to the issuer as may be reasonable in the circumstances, are not aware of any information that is or may be relevant to the subject matter(s) of the enquiries, or of any inside information which needs to be disclosed under the SFO. We have noted [the recent increases/decreases in the price [or trading volume] of the [shares/warrants] of the Company] or [We refer to the subject matter of the Exchange’s enquiry]. Having made such enquiry with respect to the Company as is reasonable in the circumstances, we confirm that we are not aware of [any reasons for these price [or volume] movements] or of any information which must be announced to avoid a false market in the Company’s securities or of any inside information that needs to be disclosed under Part XIVA of the Securities and Futures Ordinance. Main Board Rule 13.10 states that an issuer does not need to disclose inside information under the Rules if the information is exempt from disclosure under Part XIVA SFO. The Exchange reserves the right to direct a trading halt of an issuer’s securities if an announcement under Main Board Rule 13.10 cannot be made promptly. inside information may have been leaked where it is the subject of an application to the SFC for a waiver from compliance with the statutory disclosure obligation or where it is exempt from the statutory disclosure obligation (except if the exemption concerns disclosure prohibited by Hong Kong law or an order of a Hong Kong court). there is uneven dissemination or leakage of inside information in the market giving rise to an unusual movement in the price or trading volume of the issuer’s listed securities (Paragraph 3 of Practice Note 11). The press reported that a listed company received a takeover offer from another company. The Exchange made an enquiry before market open and the company confirmed that the press report was unfounded. The company’s share price rose by more than 20%. The Exchange requested the listed company to issue a clarification announcement under Rule 13.10 to deny the press report.